Problem: The wash bay was not draining away. 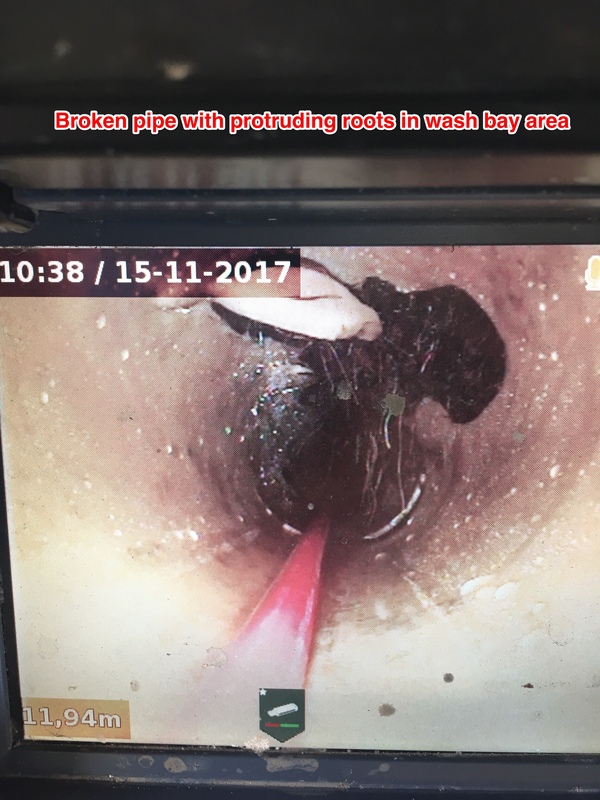 Solution: We inspected the pipe and found roots. 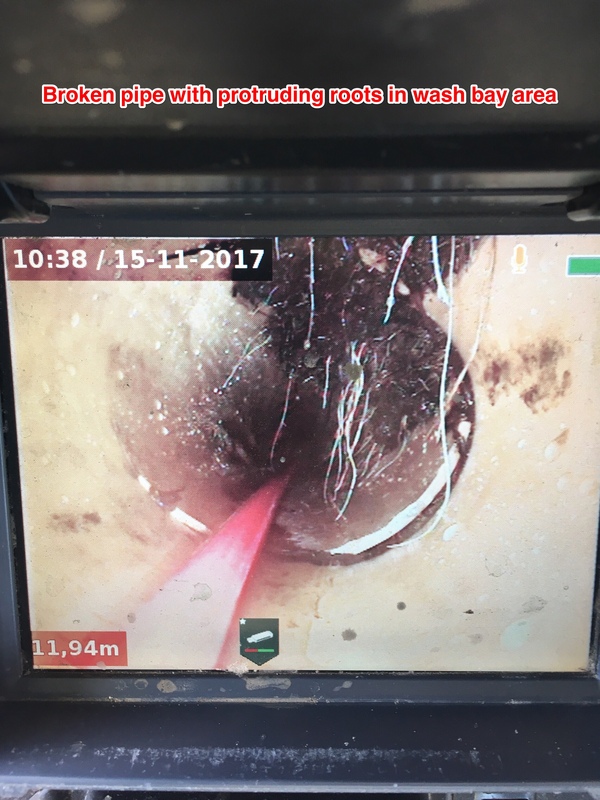 After cutting the roots out and allowing the water to drain away we got a clear image of what was going on. The PVC pipe is broken and allowing roots to grow in. This needs to be excavated and replaced.